The new aluminum 5 lb CO2 cylinder with CGA320 valve is one of our most popular and versatile cylinders. Large enough in capacity for multiple uses yet light and very portable, it’s the preferred carbon dioxide tank of many home, rental, and commercial users. Our 5 lb CO2 cylinder body features thick aluminum walls, precision machining and construction, and a professionally installed CGA320 valve.Up to 40% lighter than steel CO2 cylinders of the same size, and exceptionally corrosion-resistant for CO2 and other wet gas use. 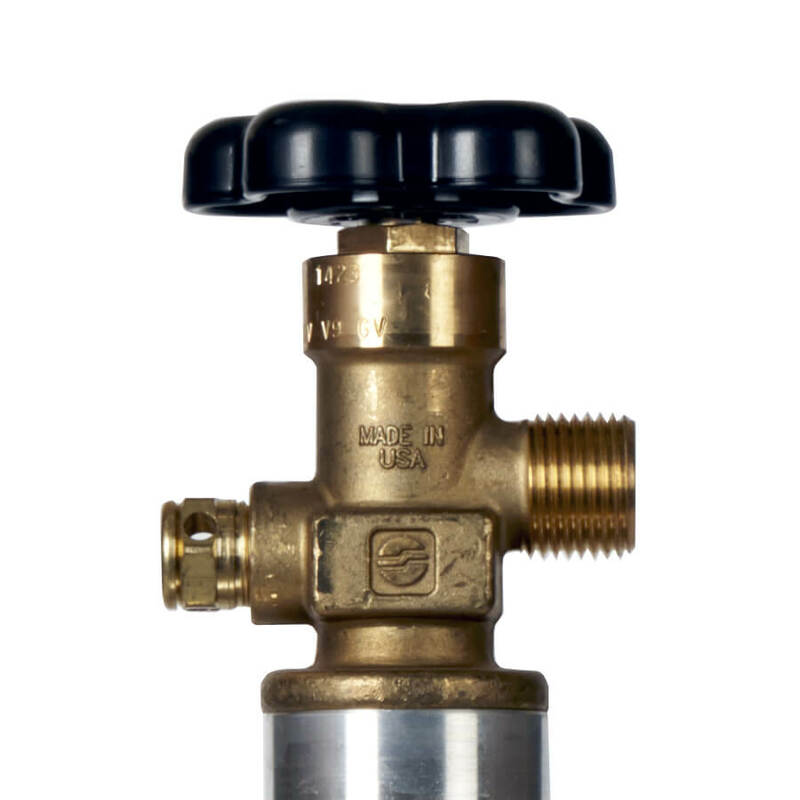 Siphon tube installation is available on select cylinders. Please contact your representative for details. Applications include craft beer, homebrew, soda and other carbonated beverages, hydroponic and aquarium use, and more. Cylinders can be customized with silk screened, stamped, stenciled, wrapped, or adhesive labeled logos, messages, or text – contact your representative for details. 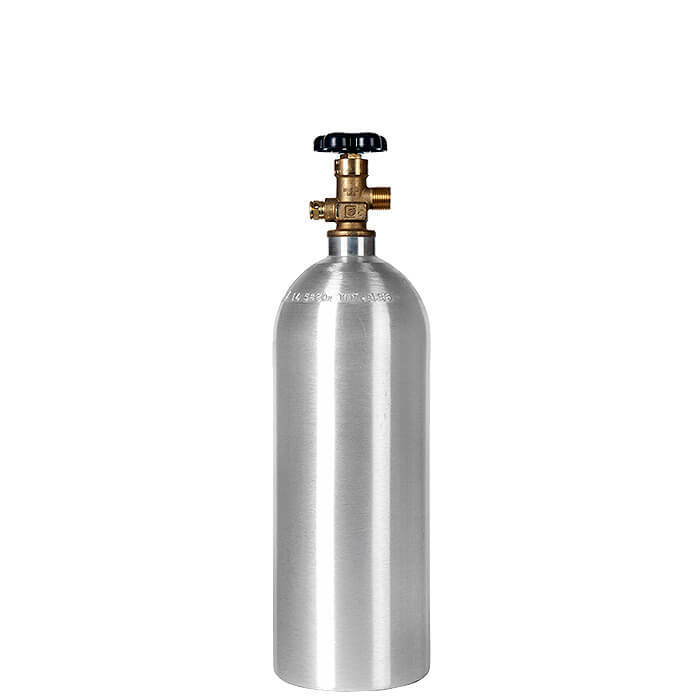 More carbon dioxide cylinders in all sizes are available in our CO2 cylinder section.